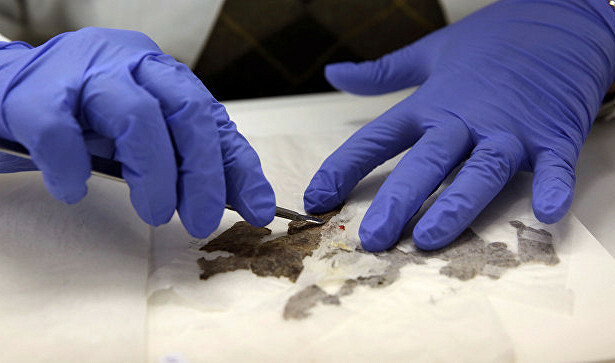 Specialists in biblical studies of Haifa University managed to decipher one of the texts of the ancient Dead Sea scrolls. This is reported on the university’s website. According to historians, the deciphered text contains the 364-day calendar of the Jewish sect of the Essenes. It, among other things, describes two festivals that are not mentioned in the Bible. It’s about the days of New Wine and New Oil, which were celebrated as a continuation of the holiday of the first wheat crop. “According to this calendar, the New Wheat festival comes 50 days after the first Sabbath after Passover, the New Wine Festival comes in another 50 days, and after an additional interval of 50 days, the New Oil festival is celebrated,” the study says. In addition, it turned out that the Essenes celebrated the change of seasons a special holiday at the end of the season. The scroll shows that for these days the word “flow” was used, which is translated from Hebrew as “period”. Scientists note that the scroll was written by one of the leaders of the sect, who is familiar with the secret code, forgetting to mention a few holidays. As a result, another scribe was forced to correct the errors by adding the missing dates to the fields between the columns of the text. Documents, often called Qumran manuscripts, describe the life and beliefs of the Essenes and contain unique information about the life of early Christians, excerpts from the Gospel and original stories from Hebrew mythology. Scrolls, which number about 900, date back to the III century BC. e. – I century AD. The Essenes are one of the Jewish sects that originated in the 2nd century BC. Members of the movement first lived in the towns and villages of Judea, and then founded isolated colonies in the northwest of the Dead Sea.